Triax KA Band twin LNB. and other broadcasters using the same frequency range. F/D ration 0.6, load impedance 75 ohmes, 40mm neck, twin output. 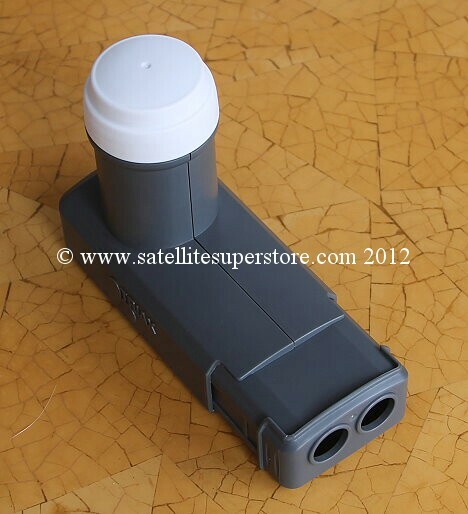 This LNB has a pull down cover to keep water away from the F connector connections. (We also sell the Triax HDS 110 satellite receiver. This is a low cost HD receiver with Ka (and Ku) band software. It works with Ka band or universal LNBs. It is ideal for use with the Irish channels on Ka band from the satellite at 9E.